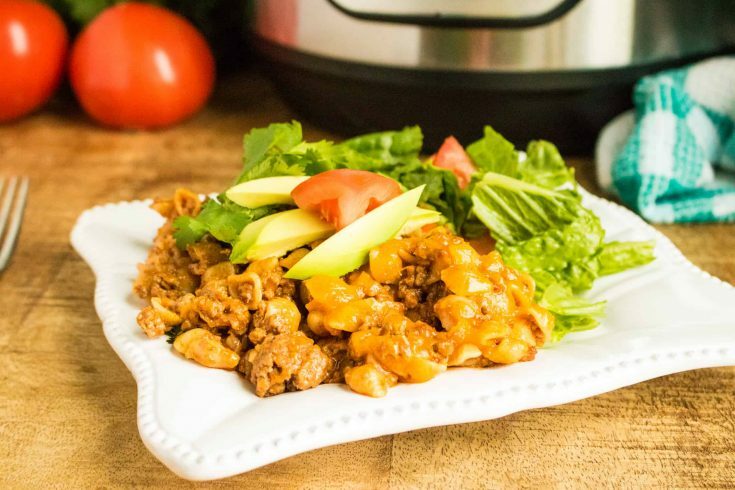 Instant Pot Taco Pasta takes Taco Tuesday to a whole new level! Weeknight dinners can be tough, since they need to come together quickly and most importantly be tasty. Because who wants to eat a boring dinner? We certainly don’t. This recipe is quick, easy, and unique. Plus it comes together with minimal effort, making you look like a pro chef. Cooking in the Instant Pot is a great way to speed up the dinner-making process without sacrificing your entire evening or taste. Pressure cookers work by trapping steam inside the pot, allowing the liquid inside to reach a higher than boiling temperature. Because the steam is trapped inside the pot it reenters the meat, pasta or vegetables, cutting down cooking time while increasing the moisture in the food being prepared. Older pressure cookers were often difficult to regulate and could be dangerous to use if not properly attended. But thanks to the wonder that is the Instant Pot, temperature and pressure are automatically regulated, so it’s a breeze to use! 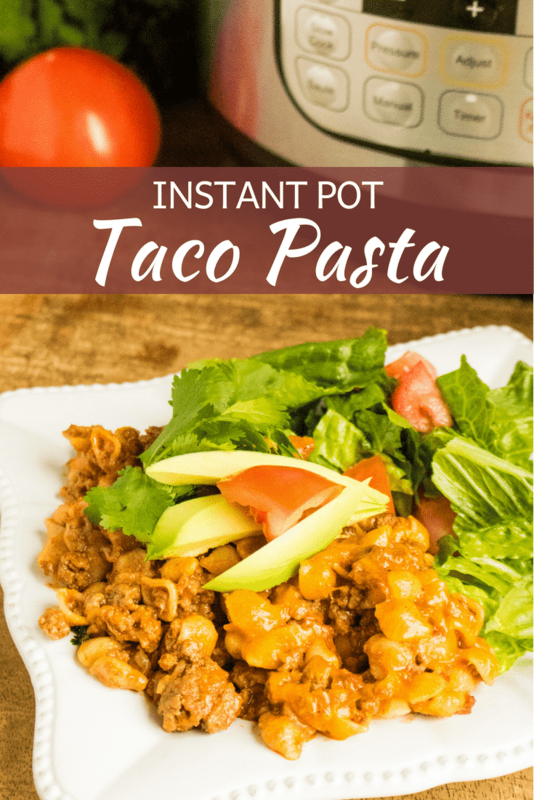 What is Instant Pot Taco Pasta? 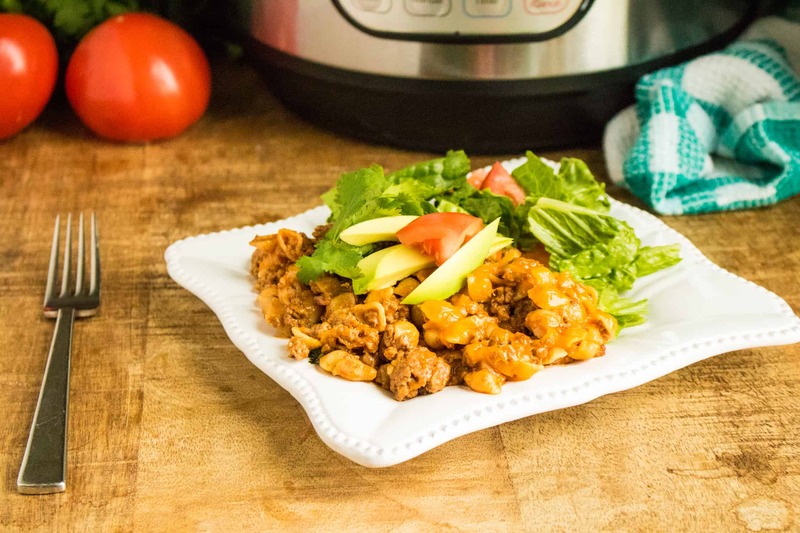 Instant Pot Taco Pasta is a the perfect marriage of two beloved meals: tacos and pasta! Instead of using the traditional marinara, alfredo, or meat sauce, why not mix things up and turn your pasta in to a Mexican feast? 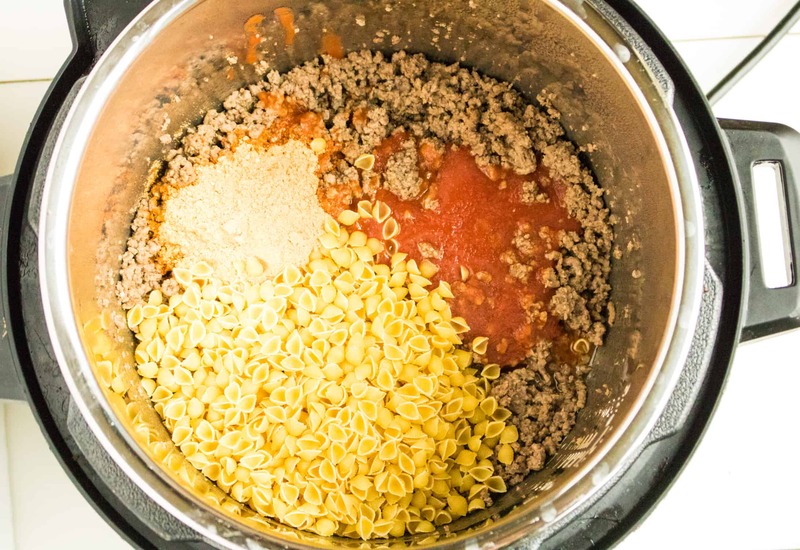 Instant Pot Taco Pasta swaps your Italian meat sauce for taco seasoning and ground beef. By cooking the pasta in chicken broth and salsa, rather than water, it becomes infused with zesty taco flavors that will bring a little intrigue to your next Taco Tuesday. Taco Tuesday is always fun, but sometimes tacos can require a lot of preparation and a large number of ingredients. 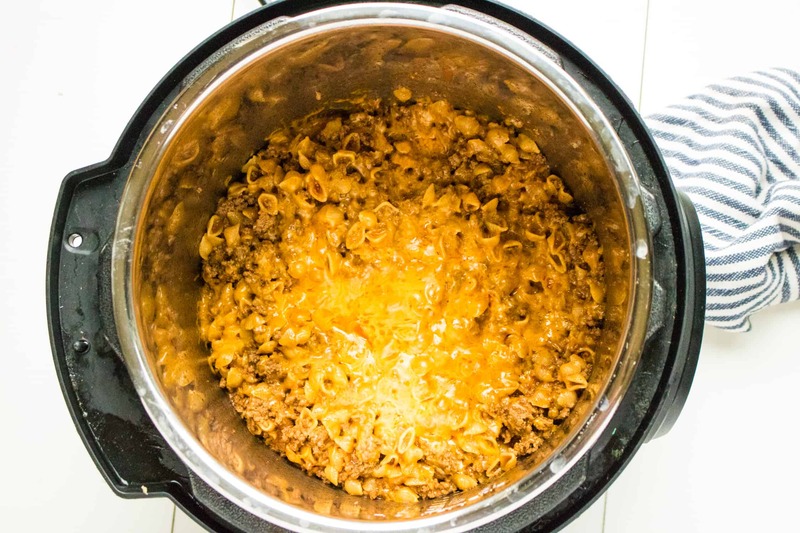 This recipe for Instant Pot Taco Pasta only needs six ingredients to come together, then you can garnish it with your favorite toppings, or not. The choice is yours. First, turn the Instant Pot on to sauté mode and brown the ground beef. Once cooked drain grease. Next, add the taco seasoning, chicken broth, salsa, and pasta shells. Close the lid on the pressure cooker and set to sealing. Set a manual high pressure for 5 minutes. Perform a quick release when the cooking time is up. Dish onto a plate, add your favorite taco toppings, and enjoy! Take Taco Tuesday to the next level with the perfect marriage of two mealtime favorites: pasta and tacos! 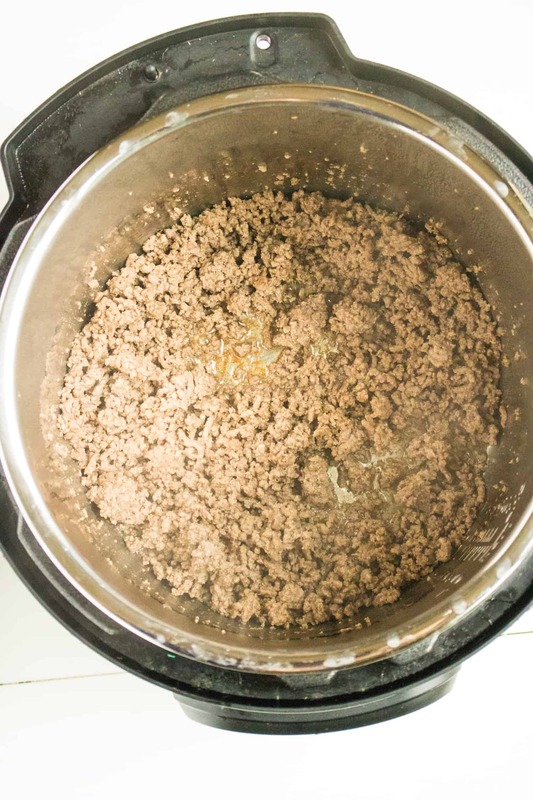 Turn the Instant Pot on to sauté mode and brown the ground beef. Drain grease. Add the next 4 ingredients: taco seasoning, chicken broth, salsa, and pasta shells. Close the lid on the pressure cooker and set to sealing. Set a manual high pressure for 5 minutes and then do a quick release when the cooking time is up.